(ABM45) sept/2012 - CD LTD. 500 COPIES IN JEWELBOX. 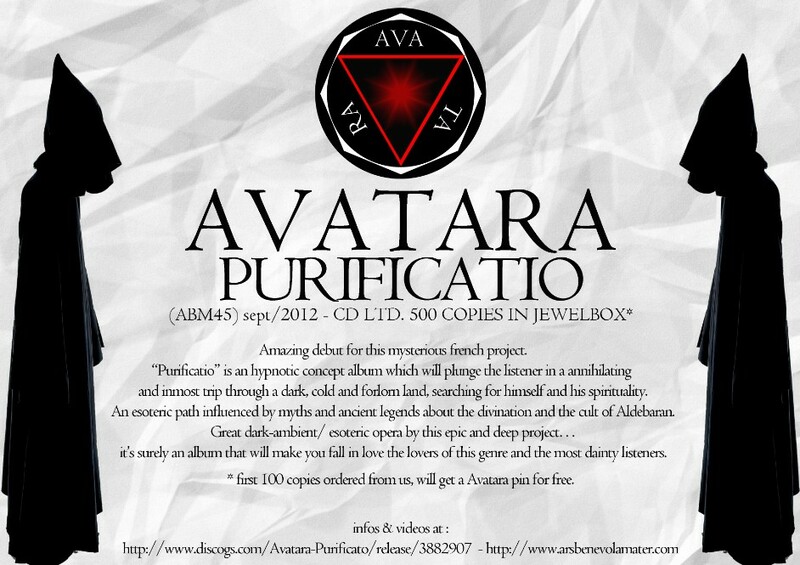 first 100 copies ordered from us, will get a Avatara pin for free. Amazing debut for this mysterious french project. 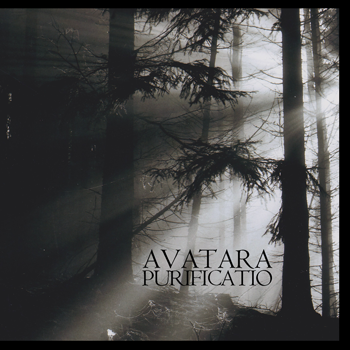 “Purificatio” is an hypnotic concept album which will plunge the listener in a annihilating and inmost trip through a dark, cold and forlorn land, searching for himself and his spirituality. An esoteric path influenced by myths and ancient legends about the divination and the cult of Aldebaran. Great dark-ambient/ esoteric opera by this epic and deep project…it’s surely an album that will make you fall in love the lovers of this genre and the most dainty listeners. (ABM44) sept/2012 - CD LTD. 500 COPIES IN JEWELBOX. first 100 copies ordered from us, will get a VH pin for free. 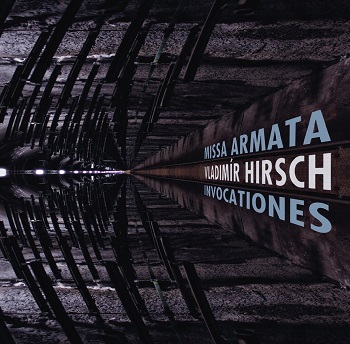 The album contains two thematically similar works, original version of the battle Mass Missa Armata (English translation: "Mass in Armor") and Invocationes, a cycle of musical prayers. Both works belong to the larger main directional scope of Vladimír Hirsch's creative perimeter. In a musical context, they represent the confrontational nature of his music. The character of rites is the main axis of both compositions. As such, both projects fit naturally together. Missa Armata (1999) is based on standard liturgical elements, except the final track "Exodus." The album however avoids using verbal singing of appropriate text as it is not a Mass itself, but rather, a narrative about the communication between its content the listeners' state of mind. Parallel to this, the album expresses a fictional war story, where adversaries are forced to participate in aworship together. The composition is very strict and uncompromising, demonstrating a highly structured industrial sound combined with classical instrumentation and choirs, achingly electrifying noises and power-electronic force and energy. Approx. time 44 min. Invocationes (2001) is a cycle of 4 ritualistic musical prayers. The project is - both thematically and in means of expression - significantly related to Missa Armata, but the overall character structurally aims more towards dark ambient. Compositions have a deep ambience with immersive emotional perceptions, without sparing any intensity and urgency. The composition is an introspective journey inside a tempestous and submerged world together. Approx. time 34 min.